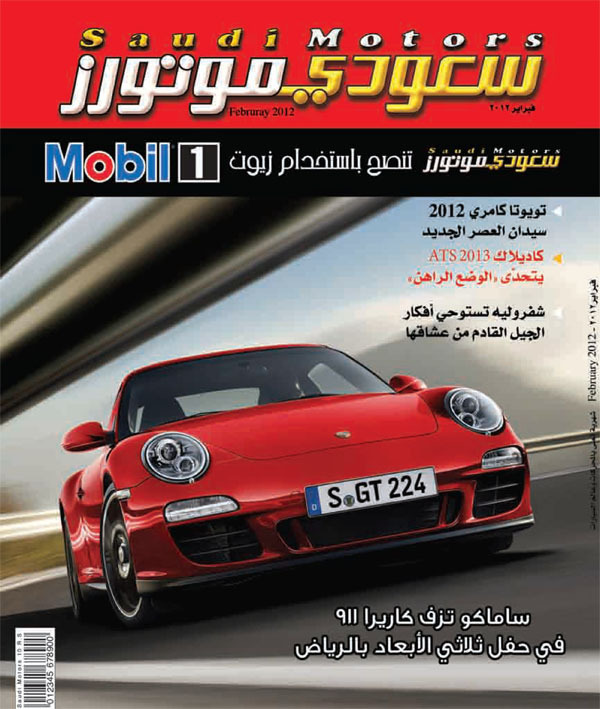 Saudi Motors is an Arabic magazine that is released monthly in Saudi Arabia. It contains information regarding Autos, Vehicles or Cars. Below is a copy of this February 2012 magazine in PDF format. This magazine has reviews of top cars in Saudi Arabia of recent time. I hope you will like it. 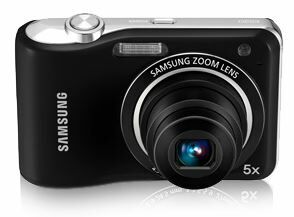 Following are few Prices of Digital Cameras in Saudi Arabia. Toyota Coaster is one of commercial vehicles from Toyota Motors and it is widely used for transportation of passengers world wide. It is one of favorite transport vehicles for School children and labor staff to companies in Saudi Arabia. 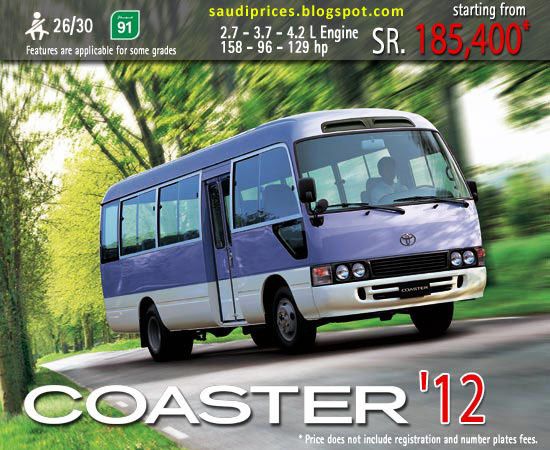 Toyota Coaster is available in Saudi Arabia in 26 Seats and 30 Seats capacity. All of the Coasters available in Saudi Arabia have 2 doors. One for driver and another one for passengers. It is available with either Petrol or Diesel fuel and only Manual transmission comes with it. If we talk about length, it has two sizes. The Long Wheelbase coaster has one additional row of seats that gives it extra 4 passengers capacity. Below are the Prices of Coasters available in Saudi Arabia. These prices are direct company prices and don't include any govt registration fees. Toyota Camry is one of favorite cars in Saudi Arabia. With heavy duty engine and elegant stylish body this car can be seen in huge quantity in Saudi Arabia. It has great resale and its spare parts are easily available in Saudi Arabia. 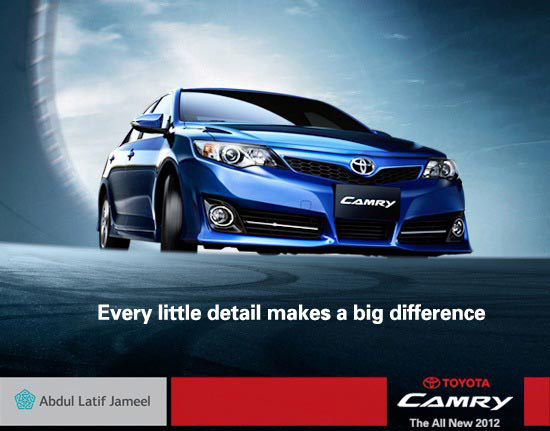 The price range of Toyota Camry's latest model in Saudi Arabia starts from 71000 Saudi Riyals to 107,000 Saudi Riyals. Following are more details. (Please note that the following are Cash Prices, Prices may vary if you purchase a Car on Installment via United Installments. Only GLX and GLX M/R models are available in Manual transmission. 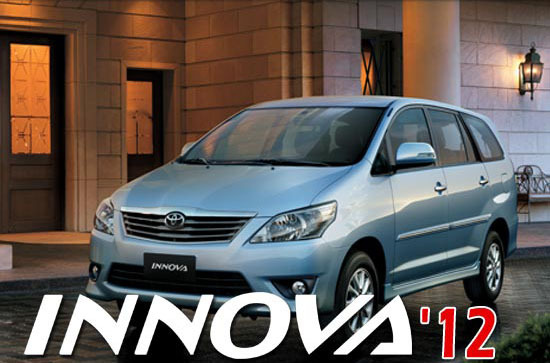 Innova meets every customer’s need for power and peace of mind. With its new driving concepts, it opens horizons of innovation and creates harmony between practicality and comfort. The Innova has touch air-conditioning system, wide seats that can be flexibly arranged for more spaces, wide practical storage spaces, international safety standards with ABS*, GOA body a Toyota innovation, SRS airbags and wide headlights for improved night visibility. 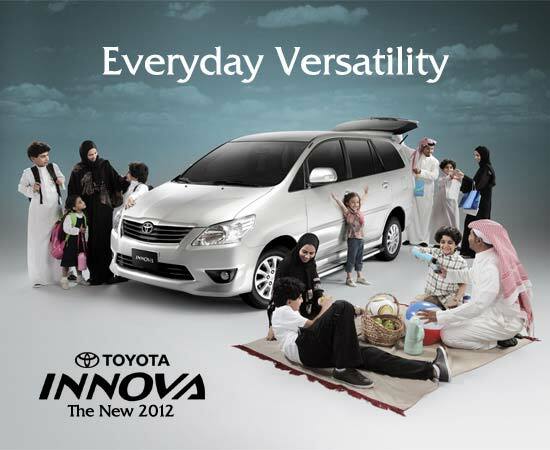 Toyota Innova is basically a Van type vehicle for family. It has a powerful 2.7 engine and it has 8 persons seating capacity. All Innova comes with 5 doors. Following are the prices in Saudi Riyals. Please note that these prices doesn't include registration fees. All Toyota Innova vehicles in Saudi Arabia run on Petrol fuel and can be purchased with Cash payment or Installments via United Installments. In Saudi Arabia Toyota Corolla is available in 5 categories or editions. All these editions run on Petrol fuel. 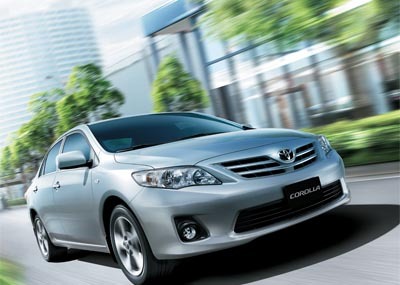 The last edition is most powerful and expensive in Toyota Corolla. The last 3 editions given above are only available in Automatic Transmission while first 2 editions 1.6 Xli and 1.6 Xli Exec are available in both Manual and Automatic Transmissions. In Saudi Arabia Abdul Latif Jameel group are the main dealers for Toyota. 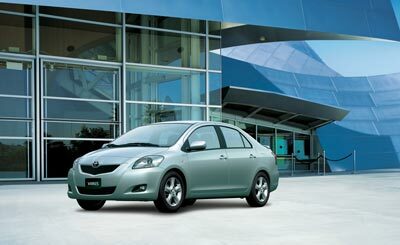 They provide Toyota vehicles on Cash purchases as well as Installments and Lease system via United Installment. Following are the prices of Toyota Corolla on cash purchases. If you are interested in buying it via Installments or Lease and you want to know how much you have to pay and when, you may calculate the amount by Calculator given at United Installment website. The lively Corolla gives you a new sensation of power with its advanced dynamic design. Roominess in the stylish cabin, operation of the audio system controllable from the steering wheel, safety enhanced by ventilated discs for the front wheels, advanced SRS airbags, rear brake light placed in a high position.A new sensation of power that takes you around, with a distinguished VVT-i engine (Variable Valve Timing-intelligent) that provides you with extra power and fuel economy in addition to excellent stability and control. 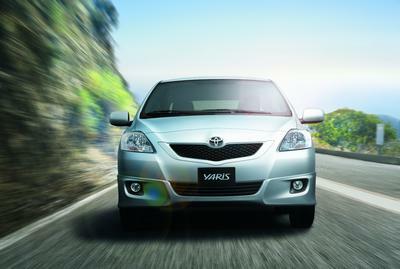 Toyota Yaris is one of the best Convenient cars from Toyota. Enjoy the wonderful details of the practical but brave design. Add thrill and joy to your driving experience with combined functionality and modernity. Plus the Yaris is equipped with a tilt-adjustable and controllable automatic steering wheel and elegance, spaciousness and comfort with a flat floor and double space between the front seats. In addition, the Yaris has comprehensive active and passive safety features such as ABS, EBD, Airbags SRS for the driver and front seat passenger and extremely strong side plates on the body to boost air flow, stability and control. Following are Toyota Yaris Prices in Saudi Arabia. These cars run on Petrol fuel. Toyota YARIS Prices in Saudi Arabia.